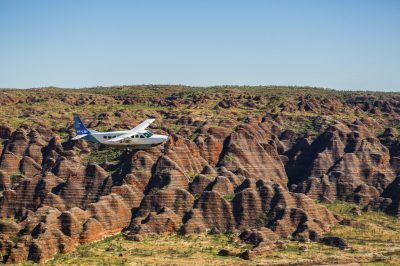 The Kimberley Coast is the ultimate escape destination. It’s one of the few places left on earth where humans have yet to leave their footprint. The result? Mile after mile of unspoiled, untouched coastline of unimaginable beauty. 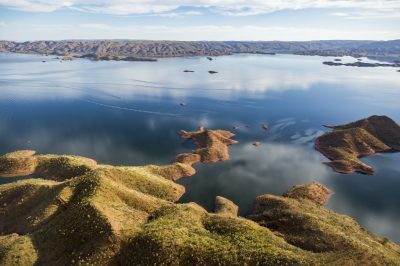 Sandstone escarpments loom above white silica beaches, hidden inlets are waiting to be discovered from sweeping rivers, natural phenomena abound, and tidal currents dictate when and what to explore. 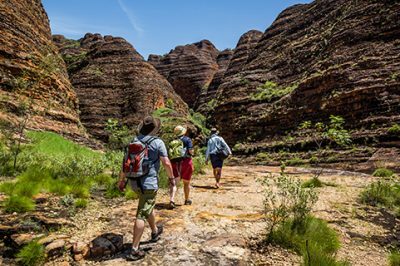 A visit to the Kimberley Coast is like picking up a Choose-Your-Own-Adventure book! 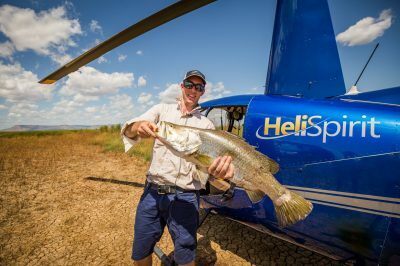 From luxury beach camping to resort-style accommodation, billy tea and damper to a locally-caught seafood platter, or traversing red-dirt tracks followed by the fishing experience of a lifetime – your choices are endless. 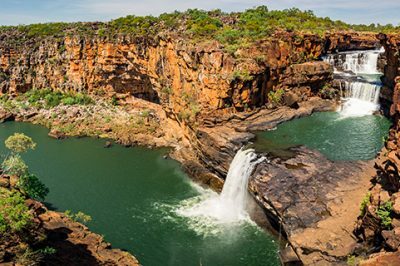 We love the Kimberley Coast for its wild and rugged beauty – there’s a new adventure around every corner. Journey to this slice of remote paradise and you could be forgiven for thinking you’ve stepped on to another planet. It is land where the terrain is an alien vista of colour and contrast; a land where giant tides influence everything you do; a land that time forgot, and few people ever get to see. 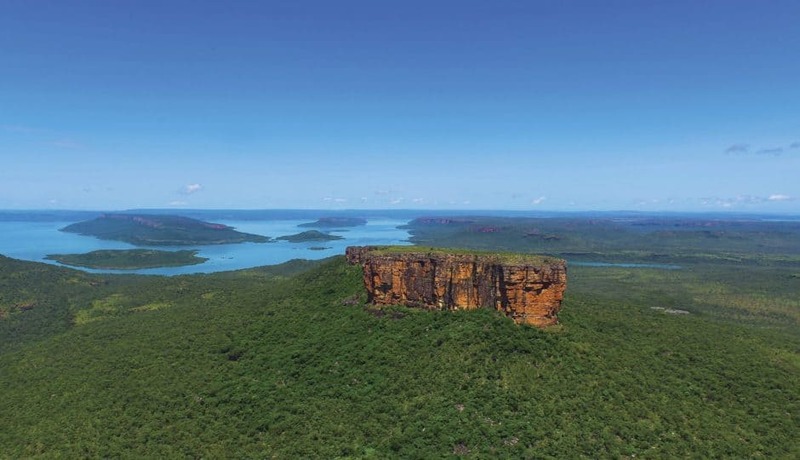 We encourage everyone to experience the Kimberley Coast. 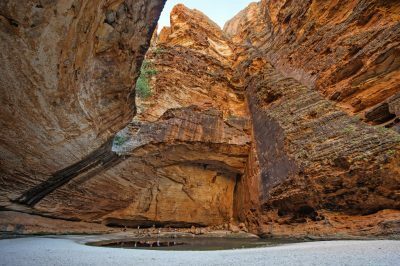 There are so many treasures to discover hidden between the sandstone folds of cliffs and canyons, and sweeping plateaus. 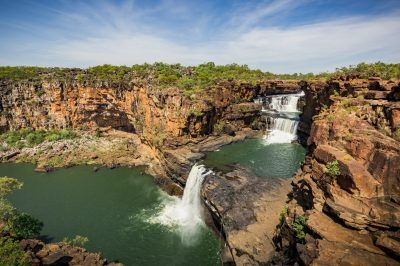 Whether you’re hugging the coastline on a luxury cruise, taking to the water for a day’s fishing adventure, or exploring inland, you’ll be overwhelmed by the sheer scope of attractions all along the Kimberley Coast. If your wish list includes hidden bays, powder-white beaches, magnificent waterfalls, secluded coves, snorkeling and scuba sites, island hideaways, whale watching, indigenous culture, and coral reefs, you’ll find everything your heart desires in this 12,000 kilometre stretch of coastline. The famous Kimberley tides – the largest tropical tides in the world – are an awesome sight to behold. You can catch a great view of them from the wharf in the coastal town of Derby. Don’t miss the Horizontal Waterfalls at Talbot Bay – a spectacular natural phenomenon caused by white tidal waters being pushed through a narrow passage between the cliffs, creating two ‘horizontal waterfalls’ as the tide rushes back out to sea. 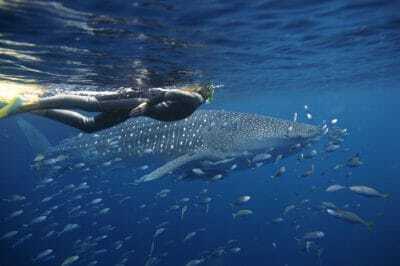 Take a day trip to the Buccaneer or Bonaparte Archipelagos – these national treasures are made up of hundreds of tiny islands, and are home to an abundance of plant, animal and marine life. 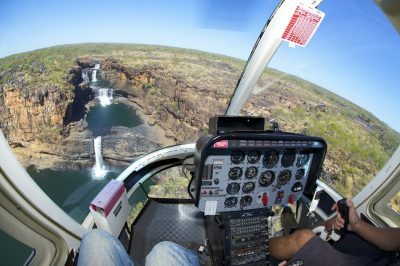 Take a helicopter safari to weave your way inland to experience the natural wonders of King Cascade, King George Falls, and Eagle Falls. Don’t forget your hiking boots – you’ll need them to access some hidden gems like Jackson Falls. Top Tip: Check out the amazing Boab Prison Tree located in Derby. The huge tree is believed to be around 1500 years old and was used as a staging point for prisoners being walked into Derby in the early days. 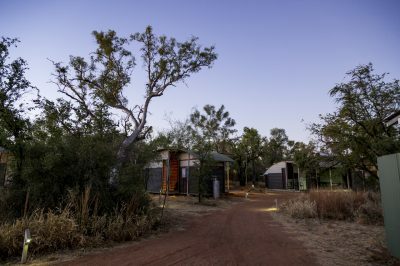 Accommodation on the Kimberley Coast is as adverse as the landscape. 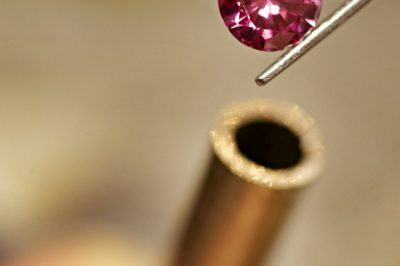 With options to suit everyone from backpackers to luxury travellers, you’re really spoiled for choice. 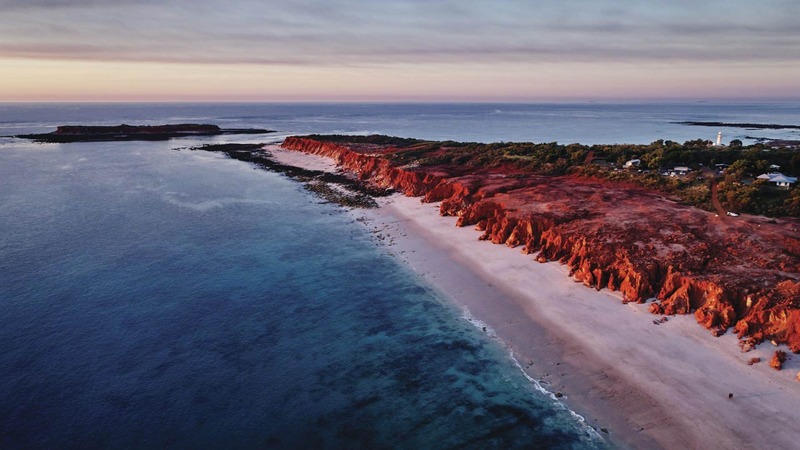 You’ll find everything from self-contained apartments, hotels, luxury resorts with day spas, beach bungalows, hostels, bed and breakfasts and caravan parks in Broome or Derby and eco-lodges, wilderness retreats scattered along the Kimberley Coast. 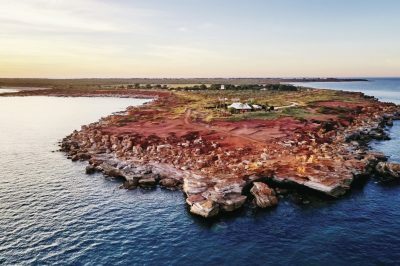 Not sure where to stay on the Kimberley Coast? 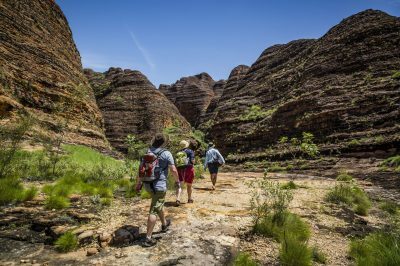 We’re happy to make some suggestions so you can get the best from your time on this amazing stretch of coast and feel like you’ve had a true Kimberley experience. Of course, you could always take your accommodation offshore! 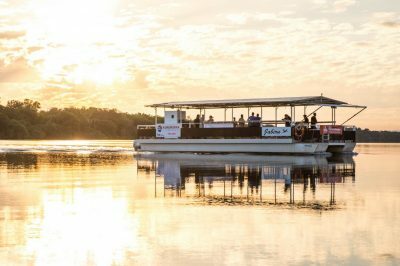 A Kimberley Coast cruise is a popular way to explore the region, with many options available from two nights to two weeks. 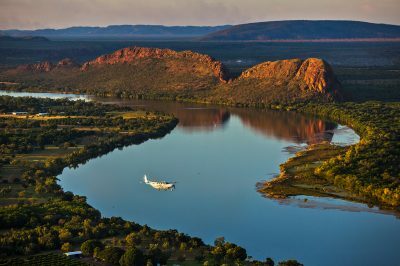 Ask us how to add a Kimberley cruise to your itinerary, and really live the dream. The northern townships of Derby and Wyndham are charismatic towns, rich in history and colourful local characters. You’ll find everything you need in these two great base locations from supplies, petrol, specialty stores, restaurants, services, indigenous arts and crafts, landmarks and sites of heritage and cultural significance, and much more. 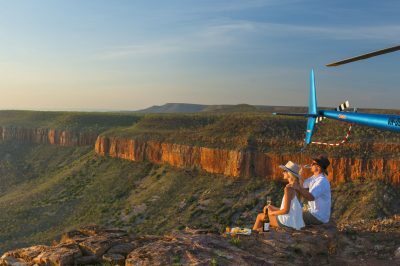 Which tours and experiences will you add to your Kimberley Coast wish list? Explore below …. 12,000km stretch of coastline bordering West/North Kimberley. The Dry Season (April-September) is best for accessibility with open roads and full tour operation. Waterfall Season (Oct-May) features a monsoonal climate with stunning landscapes, spectacular lightning displays and thundering falls. 335 days of sunshine annually with temps ranging between 27-32 during the day, 15-20 degrees overnight. For a truly immersive Kimberley Coast experience, we recommend you allow for several days and nights. Lodge-style retreats, luxury resort accommodation, eco-resorts and lodges, apartments and hotels, cabins and campsites, overnight glamping adventure experiences. Unsealed roads with creek crossings, suited for high-clearance 4WDs and off-road campers. Tour pick-ups available from select towns. 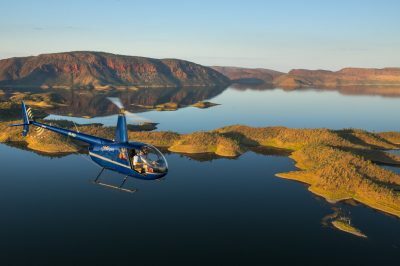 Helicopter and charter flights, as well as air safari options. Remarkable natural assets, stunning scenery, giant tides, dramatic geological formations, rugged coastline, 40,000-year-old ancestral culture. You can’t beat safari camp-style lodgings for a true taste of the Kimberley. 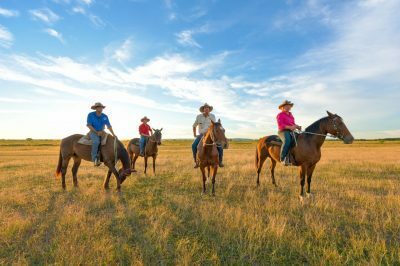 From rustic to high end, coastal to outback, we can match you with the right accommodation for your price range. 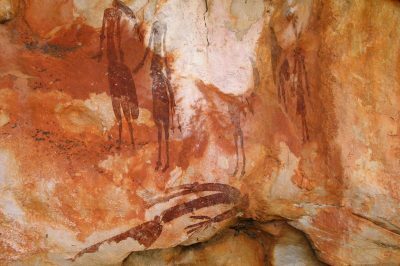 The Kimberley is host to numerous examples of Aboriginal rock art, with over 200 sites offering a glimpse into our ancestral history, dating back thousands of years. 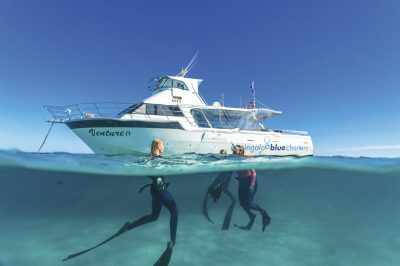 Cruising the Kimberley coast is the ultimate bucket list experience and can be personalised to complement every other element of your holiday. 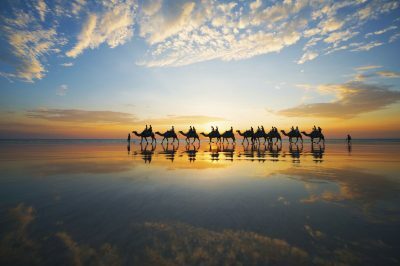 A Kimberley coastal cruise delivers a dreamlike experience that will see you charting one of the world’s most remote and dramatic coastlines.